Are you looking for the next big thing in resuscitation? Are you seeking the next miracle drug, technique, algorithm that will save your patient? You are reading the St.Emlyn’s blog, or one of the many other awesome #FOAMed resources out there on the web. You may even be attending the greatest conference in the world (SMACCGold) worrying that everyone else on the planet is into ECMO, whilst you are just ECNO. We are just like our audience….. we love the new and we adore being first. We are naturally early adopters seeking techniques that we might claim we discovered and/or promoted before anyone else. This post is not about the next big thing. This post is not about the dramatic. This post will not have a number needed to treat of less than 100. No, this post is about very little indeed. If you are interested in not a lot then read on. If you want the next big thing then there are many sources to learn about our next direction of travel in resuscitation and many early adopters out there who are rightly leading the way. I love and respect them all. If you are a regular visitor then you will know that we have more than a passing interest in cycling. The Sky pro team is based very close to Virchester and we occasionally see riders out about on the roads around the city. The success of the Sky team and GB cycling in general is well known and well documented. A highly professional team backed up by psychiatrists, technical wizadry, imported coaches and fabulous facilities made a real difference to athletes and ultimately led to success in the Tour de France and at the Olympics. Clearly there were many changes that contributed to the success but today I wanted to focus on one individual, and one concept that arguably made a difference, but only a tiny one. Matt Parker held the post of ‘Head of Marginal gains‘……..a ‘newspeak’ job title if there ever was one. What did this mean? What’s the point of a head of marginal gains and what might they achieve? If you work in complex systems such as elite sport, motor racing or indeed medicine huge changes in performance are rare. It’s unlikely that we will find a new technique that would take a whole second off a 100m sprint time or we would find a new aero package in formula 1 that will make Red Bull go 3 seconds a lap faster than everyone else. Major change, step change, dramatic improvements are rare. In complex systems marginal changes are more important but there effect is almost imperceptible and therefore they can often be perceived as not being worth the effort, but is that right? In my youth there was a car that I coveted more than any other, I travelled to Le Mans to see them race (and win) and was fortunate enough to get up close and personal one with one some years ago. 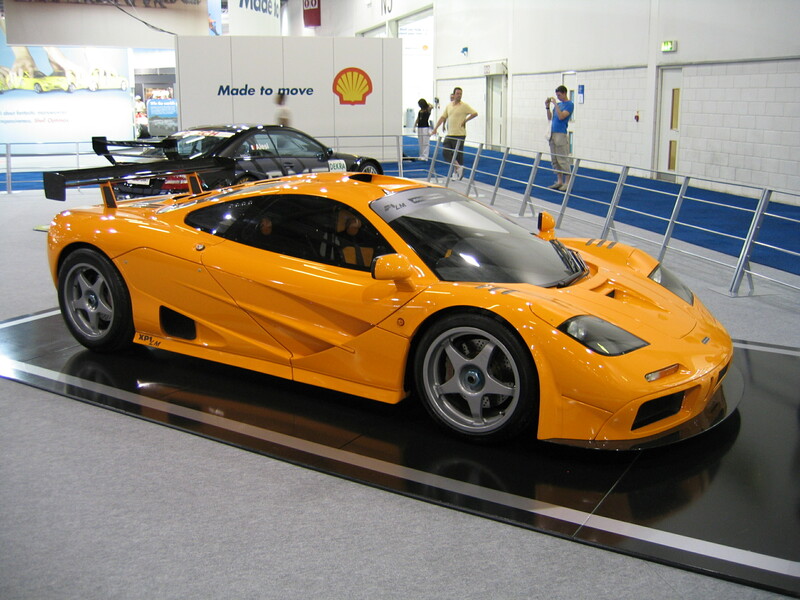 The car was the McLaren F1 road car, an amazing machine that provided a step change in performance. It was truly an incredible machine. Why was this? Did it have a thermonuclear powered engine? Did it bend the laws of physics? Did it do one single thing that dramatically changed car technology? Arguably not. What Gordan Murray did in designing the car was to look for any and all tiny marginal gains. I remember an interview with him at the time where he was asked about why he asked for the tools in the on-car toolkit to be made from titanium, clearly the marginal gains from lighter weight were marginal in a car that weighs 1100Kg. Those few extra grams saved would have made no measurable difference to outcome, no difference to performance and no clear link between the increased cost and outcome. What was the point of such attention to detail? Similarly in cycling Matt Parker (and the secret squirrel club) looked for small aspects in all domains of training, behaviour and equipment that had the potential to make a difference. In isolation the changes were unlikely to produce a change in performance, but they were identified, adopted, delivered and most importantly accumulated. There’s a nice review of his work here. So why should we pursue marginal gains? Simply put they are additive. Marginal gains don’t in themselves make a difference, but by summating together final performance improves. Let’s think about the resuscitation room and something that yo udo on a regular basis. Think of trauma resuscitation, sepsis or cardiac arrest. Do you resus processes go as well as they can? Do you achieve rapid transfer of patients from ambulance to trolley, do you always have the equipment you need to hand, how good are you at chest compresssions, ensuring time off the chest is minimal, that depth and rate is perfect all the time, every time? I suspect that if you reflect back on your performance and your team’s performance you would have to be honest in saying no. There are many small aspects of process that don’t work perfectly, but perhaps they are not worth expending energy on them as they would not make that much of a difference….. I’ll give you an example. Our resus trolleys have kit in closed drawers rather than in open visible trays as I have seen in other departments. This is not a major problem. I can get in the drawers and it takes maybe an additional few seconds in our current system. What’s the point in changing? It’s a marginal gain. It would not make a difference. The thing is though, there are potentially hundreds of marginal gains in my department. None of which will make a big difference, all will require work, it will be difficult to motivate myself and colleagues to deliver them. It will be hard. Matt Parker and Gordon Murray are examples of leaders whose success has been contributed to by paying attention to the minor elements of their practice. Gordon is now designing incredible machines for the future and Matt has gone to English Rugby (so expect success for both). You can read more about Matt on this very nice blog post here. You may be familiar with the phrase ‘don’t sweat the small stuff’. I ask you to consider the wisdom of this common phrase in healthcare. Sure, you want to look for the next big thing in resuscitation, but before you go for the next super therapy just make sure that you have the small stuff sorted. Here at SMACCGold we listened to Karim Brohi talk on major trauma management. One of the strong messages he gave is that we need to do everything as well as well as we can. In his words we must first sweep the floor. @EMManchester @stemlyns first, you must sweep the floor…. So, get marginal, start perspiring and join in me in asking for us all to agree that…. ‘It’s time to sweat the small stuff’. Dr. Brohi’s appeal to sweep the floor is vital. This is often the challenge in major academic centre with its innumerate ‘tribes’. He attributes the systems changes wrought by continuous efforts at inter-disciplinary collaboration more important in the outcomes at his institution than the application of exotic treatments like REBOA. Huge improvements can be obtained just by getting the basic proven things right. Implementations of the Surviving Sepsis Campaign have shown this. What do you think about evidence base in this context though? Do we risk ideas had by individuals (or even decisions made by committee) becoming dogma because someone once had a good argument for it making a marginal gain? Some things are obvious, for example if you make your toolkit lighter it is clearly a marginal weight loss, but does medicine make the whole thing more complicated by having less definite cause and effects? We’re only just finding out that cooling to a really low temperature might not actually be any more use than just cooling a bit, but do you think people have been going around trying to make marginal gains in how cold your post rosc patient is? Is that a problem if we can’t easily test all these small changes in practice? We’ve been banging on about this for a year now – chiefly since I ran out of steam as lead clinician and quit, unable to make any progress with big changes in ED through the NHS management labyrinth. I started looking for things to change in my department (mainly process issues) that I didn’t have to ask anyone’s permission to do using Team Sky as inspiration for what have become known as “Hartin’s one percenters”: stopping the junior tier looking at ECGs done at triage to prevent cognitive overload, turning the constant telemetry alarms down because of the excess background noise in the ED, trying to get people to answer the phone consistently and not just with “Hello”, IV PPI is a consultant only prescription now as is TTA Oramorph and probably most influentially pushing the inspirational Kate Granger’s #hellomynameis campaign with laminated cards above every cubicle. Message of the day on the white board has not been quite as successful but hey – you win some, you lose some. I guess I may not have been looking at the clinical aspects of this because a) it will involve other people b) consistency is challenging and c) with so few regular staff and lack of consultant cover embedding change with such a rapid turnover of clinicians is very difficult. That’s for the long term. I get a huge amount of satisfaction from looking at the ED and thinking “I did that – that’s down to me.” Just little things but they add up. Does it affect outcomes? Probably not (yet) but I sure as heck feel like a more fulfilled consultant by looking out for them and implementing them. Hartin’s one percenters has a nice ring to it. Cheers Tim. The thing I like about marginal gains in EM is that many of them are completely free. Managing a resus well, focusing on little things that are cost neutral is a way of making things happen without drama, delay or financial investment. More than that it’s about trying to maintain a mindset of constant development and uncertainty. Hope you enjoy the blog and thank you so much for all your help in SimWars. We should blog on that experience too. When the bug police came and forced double wrap on all my airway gear the time to intubation went up by over a minute. Before it was cut to length and laid in a clean draw, prior to that it was clipped to the wall where I could reach back and grab it blind. Now it is sterile wrapped and takes scissors to open then assemble and check including the laryngoscopes and blades.